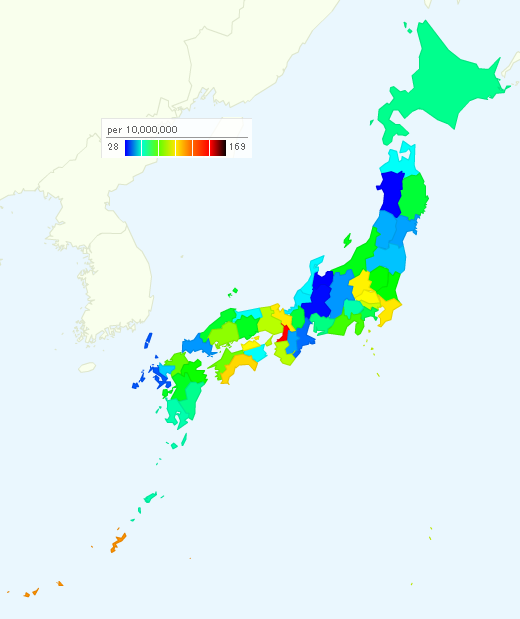 Murder Rate by Prefecture in Japan, 2014 - How much is it in Tokyo? In 2014, 1054 homicides were reported. The number includes attempt cases. So the number of actual victim is less than this number. The number of cases increased by 116 from 2013. According to the statistics of National Police Agency, Osaka was the most dangerous prefecture as usual. Tokyo jumped up to 9th place from 24th place. Table : Murder Rate by Prefecture in Japan, 2014. Ranking of dangerous prefectures. 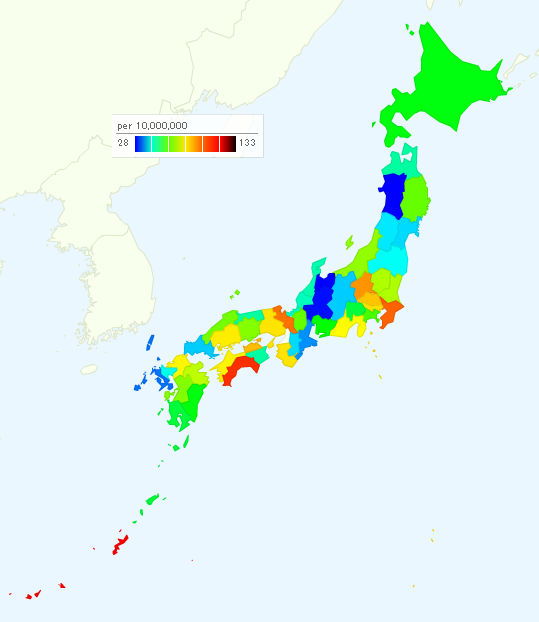 If it excludes Osaka from the map above, the map is going to be like the below.